via Officials Declare ‘Eating Healthy’ A Mental Disorder | World Truth.TV. At a meeting of the Native Peoples Council (NPC) in Albuquerque, New Mexico yesterday, Native American leaders considered several proposals on the future of this continent’s large, unauthorized European population. The elders ultimately decided to extend a pathway to citizenship for those without criminal backgrounds. via Native American Council Offers Amnesty to 220 Million Undocumented Whites – The Daily Currant. February is Black History Month. During the month, the historical struggle for Black self-determination is whitewashed, distorted, and packaged to fit the needs of the US imperialist empire. The concept of neo-liberalism rarely garners attention in dominant narratives of Black history. Yet, neo-liberal policy has largely determined the conditions of Black life in the US for almost four decades. In this study, neo-liberalism is examined in preparation for the “Get to Freedom Organize” Conference at Skidmore College. At the conference, I will discuss the roots of neo-liberalism in the context of white supremacy and capitalist development. This article concludes with the often overlooked connection between neo-liberal capitalist economics and the imperial warfare state. via What is Neo-Liberalism? A Revolutionary Analysis of the Final Stage of Imperialism | Global Research. 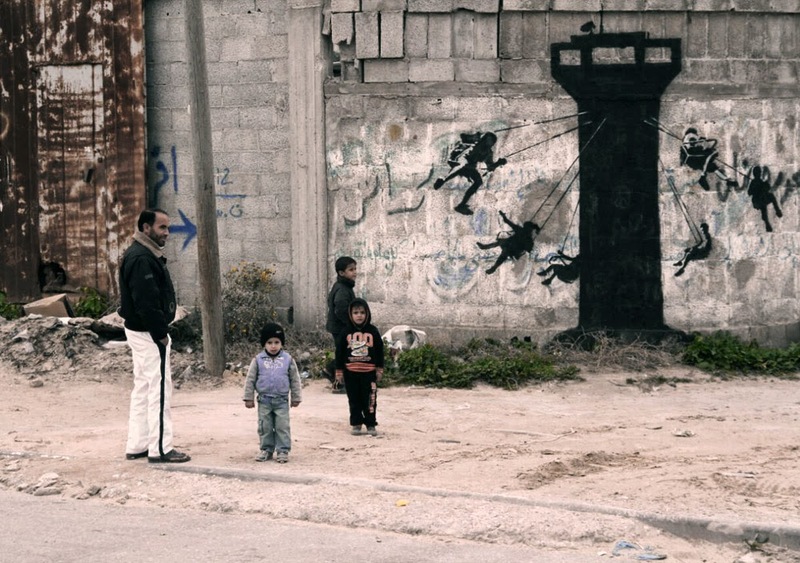 After teasing us with a single shot on Instagram earlier this morning (GMT time), Banksy finally revealed the location of the first piece which is Gaza in Palestine. Inspired by “The Thinker” by Rodin the first piece is entitled “Bomb Damage” and obviously with Banksy, the placement is just on point. Iconomancy, noise-vs-signal: The Tree of Life growing out of…. Note: this extract is still incomplete as it is missing a long digression on Nietzsche and his concept of the priest, and also on the plaint or lament as an example of taking on something that is too powerful for me and that can make me crack. One can get a good idea of the missing part here, thanks to Charles Stivale. I have corrected some errors, and kept very close to Deleuze’s words. I have chosen to consistently translate “puissance” by “capacity”, but sometimes potency, power, or even force, would be more usual in English.